The wind blew hard across Victoria Harbour and we felt it right to the bone. It was an early November evening as we strolled through the other side of the famous waterway. 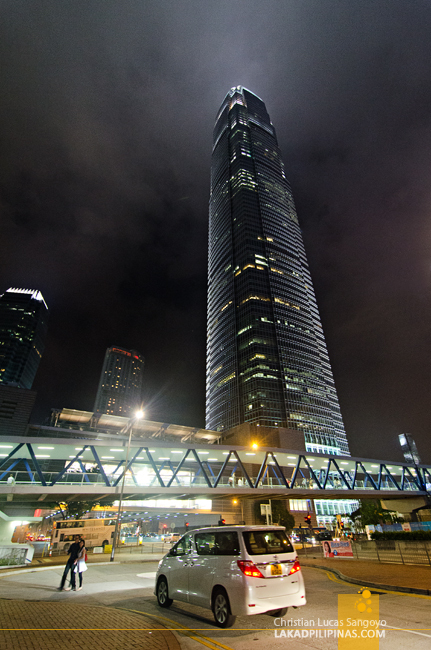 While everyone was at the Kowloon side, we were at its Hong Kong counterpart. 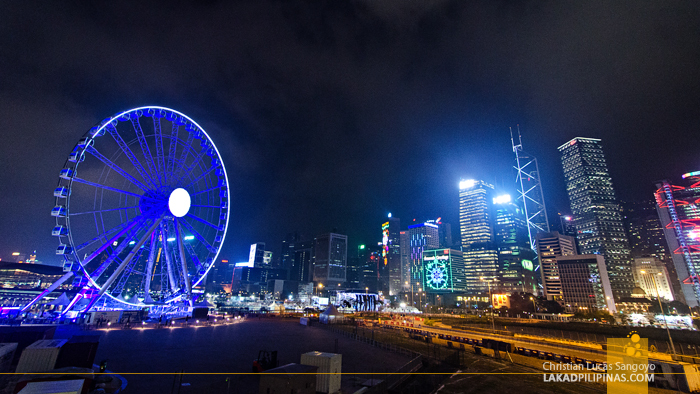 We wanted to see the Ferris wheel up close, something we usually see from Tsim Sha Tsui area, and yes, we were also here for a fancy dinner; our venue, the nearby Mandarin Hotel. Having had our fill of the Ferris wheel, we took refuge from the gust and cold at Cafe Causette. 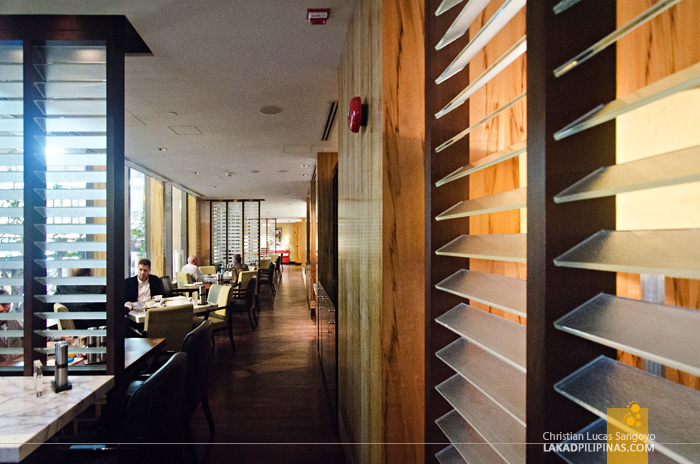 Located on the second floor of the Mandarin Oriental Hotel in Central, we knew we’d be in for a classy treat. 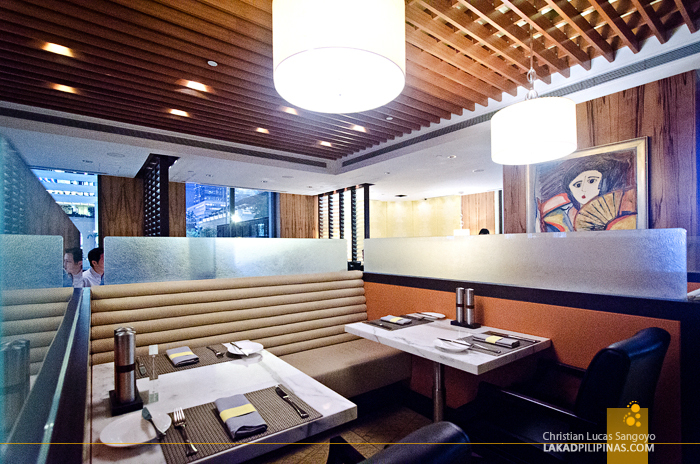 Surprisingly, the restaurant didn’t feel intimidating at all; its warmly-lit interiors tastefully decorated with choice art, muted colors and lots of textures. The clientele, as expected, are upscale; most dressed in ties and suits. Underdressed as we were in shirts, jeans and jackets, we never did feel out of place. 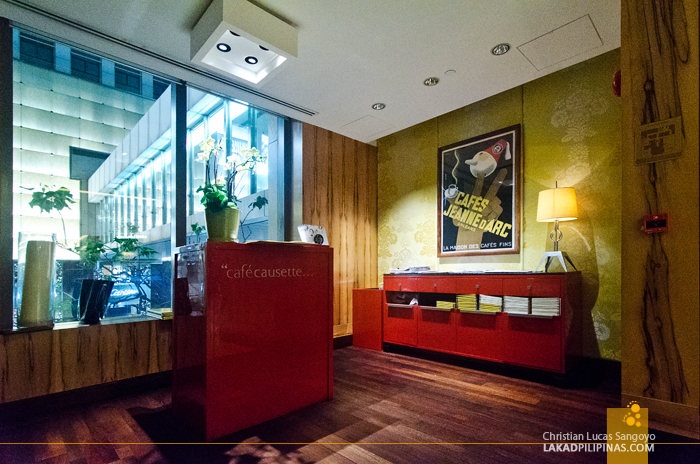 The café lives up to its name, causette meaning, to have a chat in French. 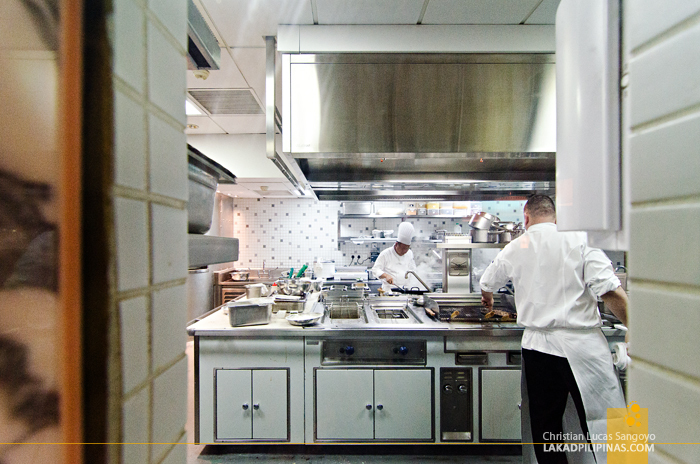 Café Causette serves a mix of Asian and Western cuisine. A quick scan of their menu reveals prices usually beyond our reach, cheapskates that we are. But this was a night for treats, a luxurious treat at that. After much deliberation, we decided on mixing everything up. On the Asian side, we ordered Singapore’s curry laksa, Hainan chicken rice, vegetable spring rolls, satay and cheung fun. On the Western front, we asked for fish & chips and pork pecorino pizza. I guess it doesn’t get any western than that, the only thing missing is a heavy serving of hamburgers. 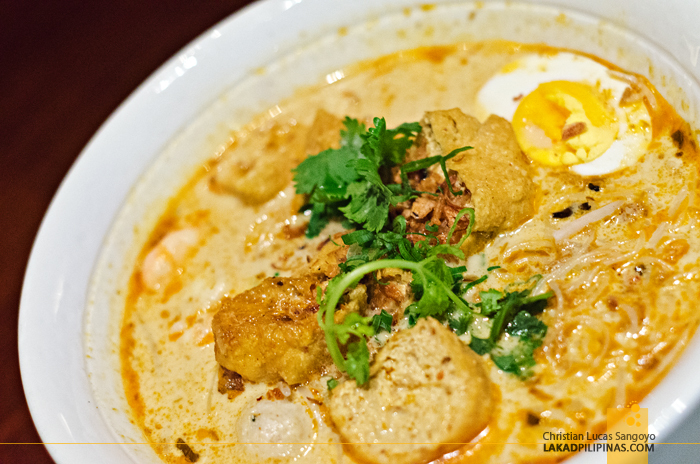 I personally picked the laksa as it usually never fails me. And as always, I find it to be quite good, albeit a tad milder than the usual, I specially adore the soft bean curd floating along the creamy soup. Serving size is enormous too that it was no problem sharing it with my four companions. The rest of the Asian feast, I got to pick on. The Hainan chicken was a surprise for me as I usually don’t dig this. I love that it doesn’t taste and feel uncooked at all with the dips perfectly complementing the meat. 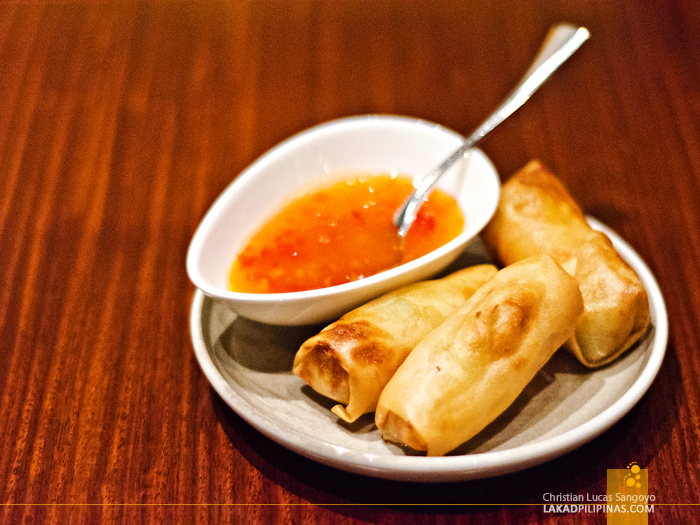 As for the spring rolls, which I usually love, I found a bit average; probably due to my leanings on the Filipino’s version of the flavorful lumpiang shanghai. 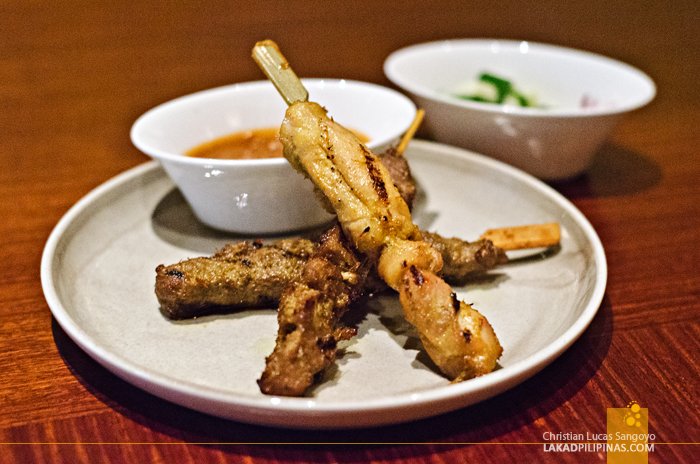 The satay, served in chicken, beef and lamb was just okay for me, I like the beef version better than its counterparts. The only thing new to me on the table was the cheung fun or rice noodle roll. 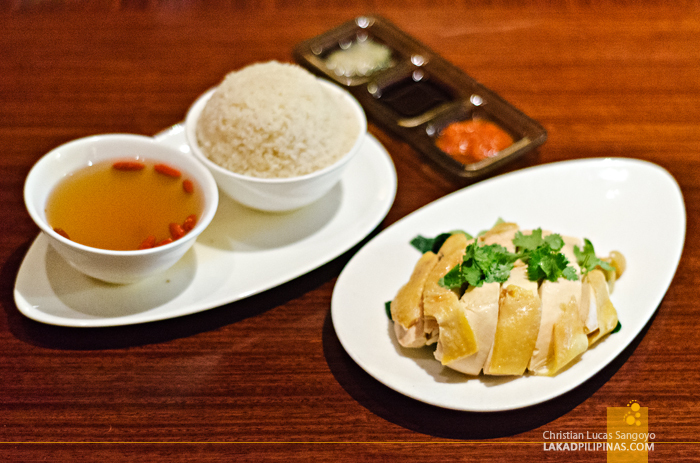 It is a popular Cantonese dish found in Hong Kong. The roll is made from rice milk and is usually filled with meat and veggies. Café Causette’s version of this though is set on a bowl with beef tenderloin swimming on a thick black pepper sauce together with the cheung fun. To be honest, I don’t know what to make of it, lol. 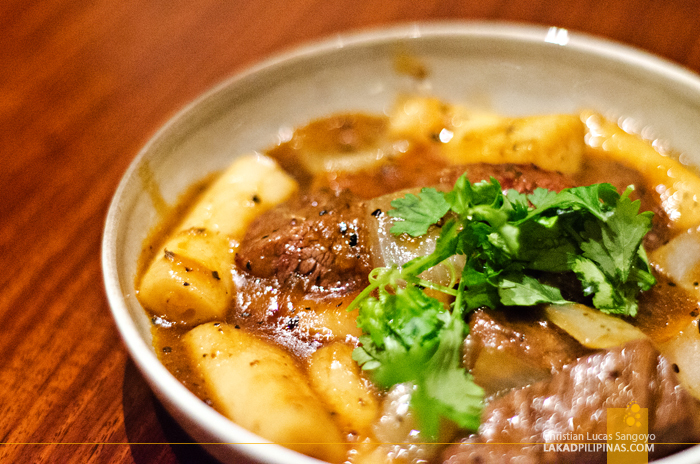 I’m all for Asian dishes when in Asia but I find Café Causette’s strong suit on their Western offerings. 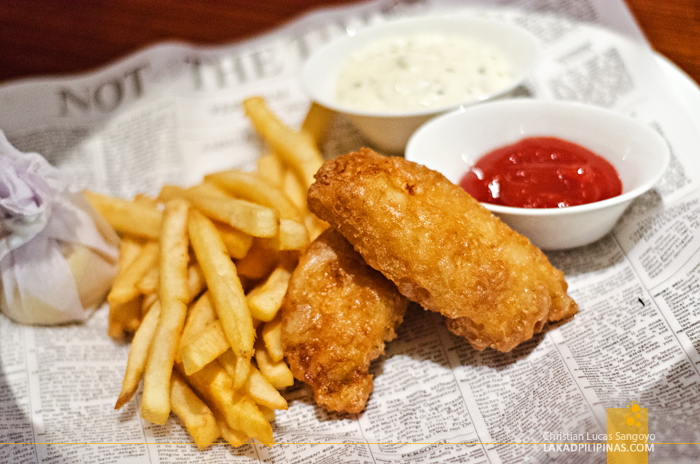 The simple English staple, fish & chips, simply blew everyone away. The cod, very crisp on the outside and meltingly tender inside, along with the perfectly done fries went well with the tartar sauce. And while not everyone picked their pizza as their favorite, this actually eclipsed the laksa for me. 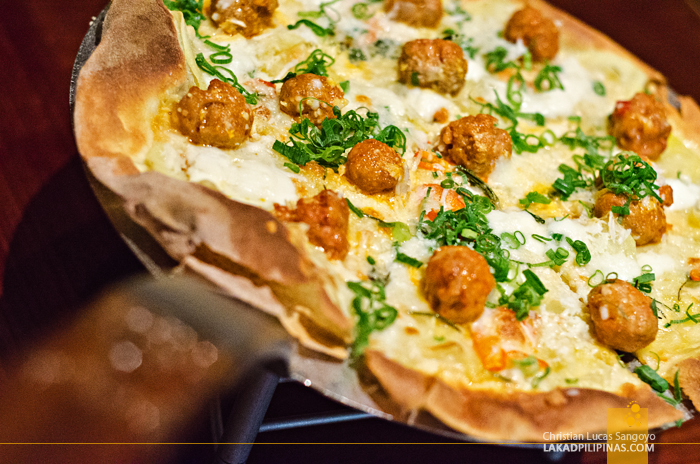 The very thin crust wasn’t oily, the pecorino and mozzarella perfectly creamy and the pork sausage meatballs, oh man. You simply have to try this. I probably ate more than half of the serving! My friends ordered a variety of desserts, but I stuck to my gun. I’m not really into desserts, well, except for ice cream. And the kind of ice cream Café Causette has! 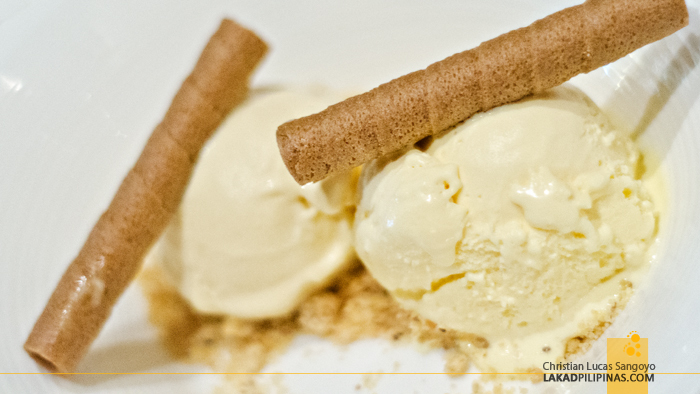 Whiskey-infused ice cream! Who could say no to that! I can’t, that’s for sure. And it’s no cutesy whiskey thing too, it is pretty strong. A light buzz was going through my head as we walked out of Café Causette and into the chilly Hong Kong evening once more. And I won’t be needing my jacket no more, the ice cream was good enough to warm me twice over.